Spread a bit of holiday cheer! Help CASS to empower the homeless to achieve their highest level of self-sufficiency. There is no single reason why someone becomes homeless. In fact, there are a multitude of circumstances and factors that contribute to a loss of resources, support and housing. What is clear is that the impact of homelessness can have a cascading and devastating effect. Not having a place to call home makes it harder to keep a job, stay healthy and maintain relationships. All of which can take a serious toll on individuals and families. As a result, they may experience isolation, physical challenges, mental health issues or substance abuse problems. Ending homelessness in Maricopa County is at the heart of all that Central Arizona Shelter Services (CASS) does. CASS addresses the needs of the Valley’s men, women and children experiencing homelessness through a continuum-of-care model that provides shelter and individualized supportive services allowing these individuals to move their lives forward. Approximately 19 percent of CASS clients are children or young adults. United States veterans were 12 percent of the population CASS served last year. On any given night in Arizona, more than 27,000 people experience homelessness. Since 1984, CASS’ shelters and programs have been serving the community’s most vulnerable, who often face nearly insurmountable barriers in ending their homelessness. Their programs empower people to not only end their homelessness but to rebuild their lives. A key component in the CASS mission is addressing the diverse needs of its clients. “Our clients are diverse and many face very challenging issues,” said CASS CEO Mark Holleran. CASS works to ensure its clients are connected to critical health services for physical, mental and behavioral health issues, addiction, and other health-related services. For any homeless individual committed to getting the help they need, the caring and professional staff at CASS can guide them to a more stable future. Multiple strategies, approaches and partnerships are sometimes necessary to restore individuals experiencing homelessness to independence. As the needs of Arizona’s population changed, CASS expanded its continuum of care to better address the needs of those who transition out of shelter and into permanent housing. In 1997, CASS founded a housing affiliate, Arizona Housing, Inc. (AHI). AHI provides permanent, affordable supportive-housing solutions to individuals and families who are motivated to end their homelessness, but still need additional support. AHI helps people maintain their stability and self-sufficiency in housing by providing a safe and secure living environment along with ongoing case management services. Through its enhanced continuum, CASS and AHI are able to provide a diverse array of services to meet the needs of individuals and families in Arizona and empower them to rebuild their lives and permanently end their homelessness. Working together is the best way to end homelessness, says Holleran. Simply donate online quickly and securely, or mail a check to our offices. For every dollar you give, you may also be eligible for the Arizona Charitable Tax Credit for the same amount – up to $400 for single or head of household returns, and $800 for joint tax returns. Help spread a bit of holiday cheer. In-kind donations of toothpaste, toothbrushes, feminine hygiene items, new underwear and socks are always needed and appreciated. 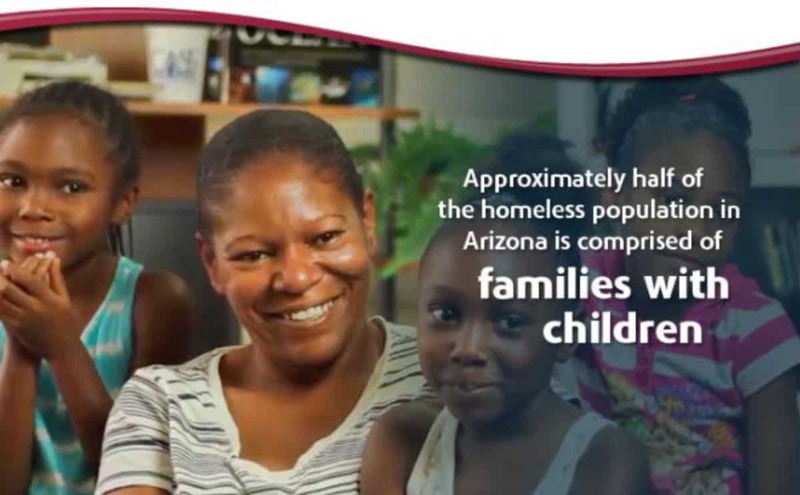 Or visit www.cassaz.org to explore the many ways you can partner with Central Arizona Shelter Services. For more information on CASS supportive services, call 602.417.9800 or email info@cassaz.org.